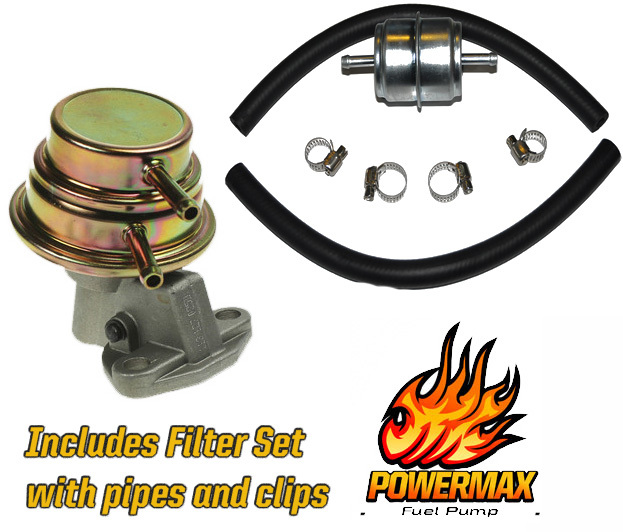 POWERMAX Low Pressure fuel pump for VW’s Fitted with an alternator. Fitted to all Volkswagen air cooled engines, Beetle, T1 Camper Bus, Bay, T2, Ghia, Air Cooled T3. Fitted with an alternator. Also supplied with our Pre pump filter kit. Is the perfect upgrade for those looking to gain more reliability and an easier to manage fuel system. Please note new gaskets and a push rod may be needed and are sold separately.